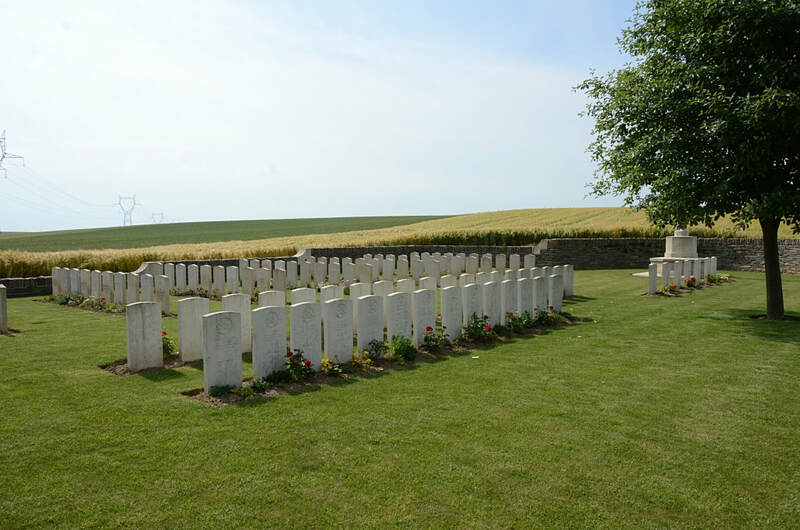 Hébuterne is a village which lies about 20 kilometres south-west of Arras. 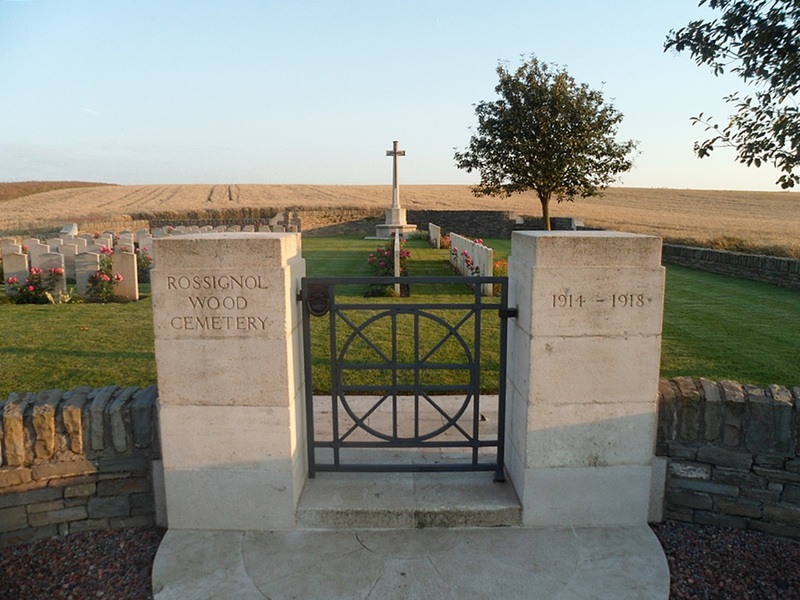 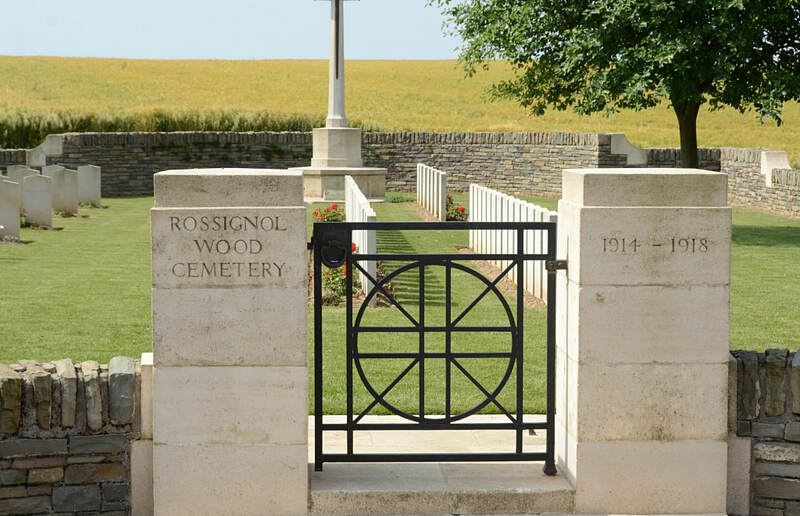 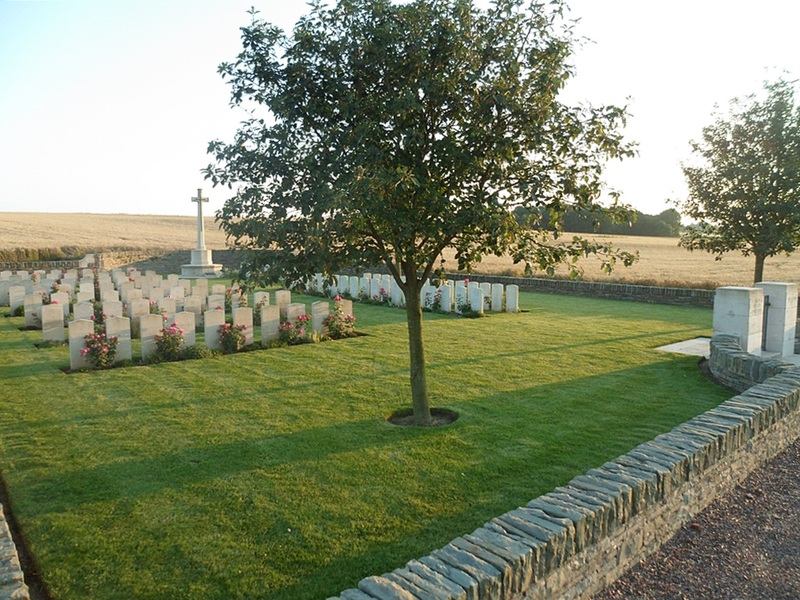 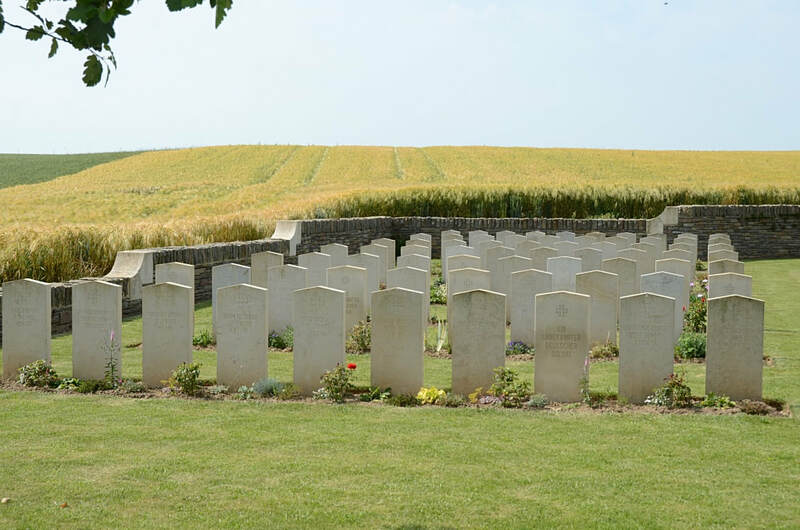 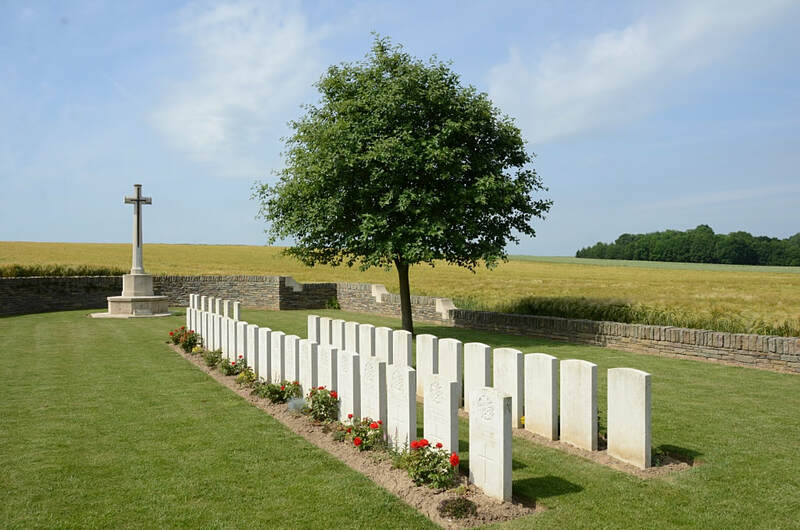 Rossignol Wood Cemetery lies approximately one kilometre north-east of the village, on the road between Gommecourt and Puisieux (D6). Hébuterne village remained in Allied hands from March 1915, to the Armistice, although during the German advances in the summer of 1918, it was practically on the front line. 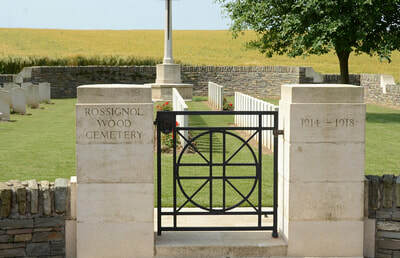 Rossignol Wood was taken by the Germans at the end of March 1918 and recovered in the following July. 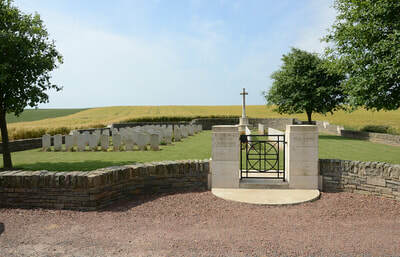 The cemetery was begun in March 1917, by the 46th Division Burial Officer, about 350 metres to the west of the wood. 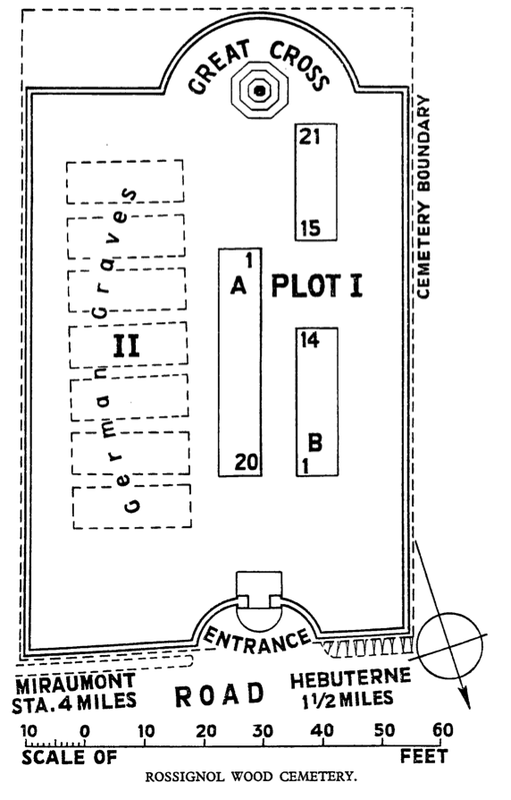 The German plot was added after the Armistice when graves were brought in from the battlefields immediately to the south and south-west. 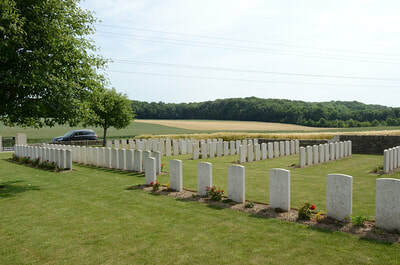 The cemetery contains 41 Commonwealth burials of the First World War, two of them are unidentified. There are also 70 German war graves, 42 being unidentified. 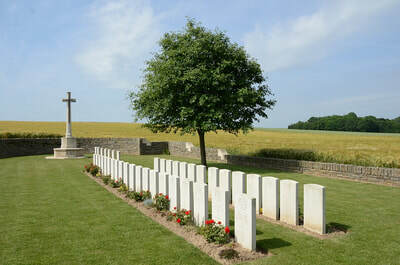 Casualty Details: UK 34, New Zealand 7, Germany 70, Total Burials: 111.